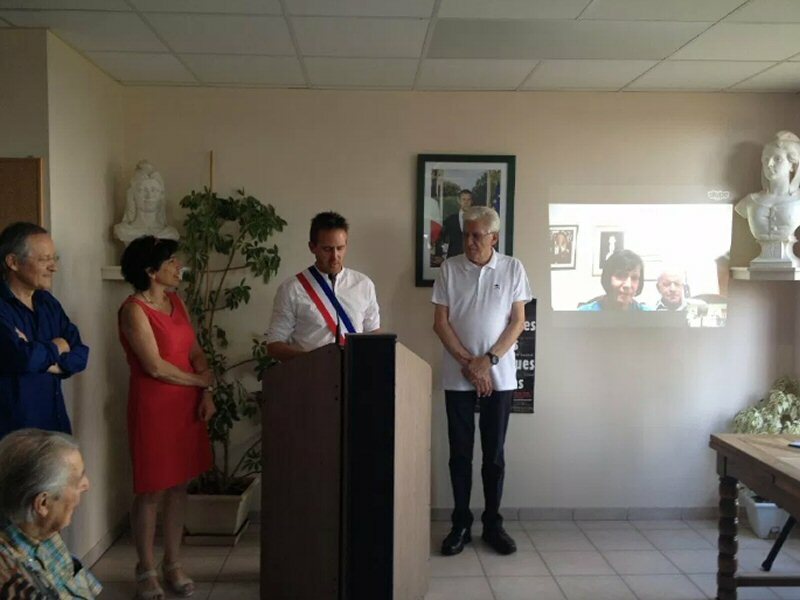 Only one week after his administrative detention without charge or trial was renewed once more by the Israeli occupation, Salah Hamouri, the French-Palestinian lawyer and political prisoner, was declared an honorary citizen of the commune of Montcel at a ceremony organized by Mayor Gregory Bonnet and the town’s city council on 6 July. The event was attended by around 50 people and opened with a speech by the mayor. In addition,speeches were made by Christine Pires-Beaune, Member of Parliament for the constituency; Jean-Claude Lefort, coordinator of the Support Committee to Salah Hamouri and honorary member of the National Assembly; Yves Chilliard, president of the Association France Palestine Solidarité 63; and Denise Hamouri, Salah’s mother live from Jerusalem over Skype. The event was attended by a number of elected officials in the region, including Fatima Bezli-Parret, regional councillor; Jocelyne Glace-Le Gars, departmental councillor; Clementine Raineau, departmental councillor; Jean-Marie Mouchard, president of the community of municipalities and Mayor of Loubeyrat; and Sylvain Lelièvre, mayor of St-Hilaire-la-Croix. A rich discussion of more than two hours followed this very moving and powerful film, during which Jean-Claude Lefort spoke at further length about the situation of Palestinian political prisoners as well as Salah’s fidelity to his Palestinian roots. Lefort is Salah’s father-in-law in addition to a coordinator of his support committee. The entire evening program was full of strong support for Salah Hamouri and his struggle and emphasized the centrality of the struggle of Palestinian political prisoners in confronting arbitrary detention, brutal conditions and mass incarceration, all part of the framework of Israeli colonialism, apartheid, ethnic cleansing and its drift into fascism. 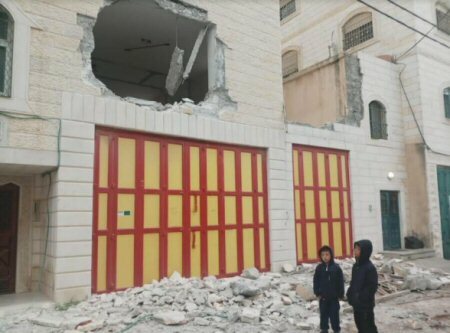 The inaction and complicity of major powers, including France, continue to give a green light to Israeli policies of continuing repression and violations of international law and human rights. This situation emphasizes the importance of solidarity actions in support of Palestinian prisoners, such as providing information, writing to the prisoners and organizing events, like those in France in support of Salah. It also emphasizes the importance of popular mobilization for Palestine generally, especially in the context of the boycott, divestment and sanctions (BDS) movement that is growing in France and internationally. The event also highlighted the alarming situation of the 2 million people trapped in Gaza, an open-air prison under siege, and called for an end to “security coordination” between the so-called Palestinian Authority and the Israeli colonial state.